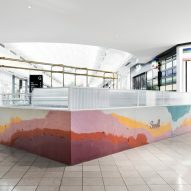 One Design Office and Studio Twocan based this pigmented concrete bar inside an Australian ice cream shop on the technicolour treats it will serve. 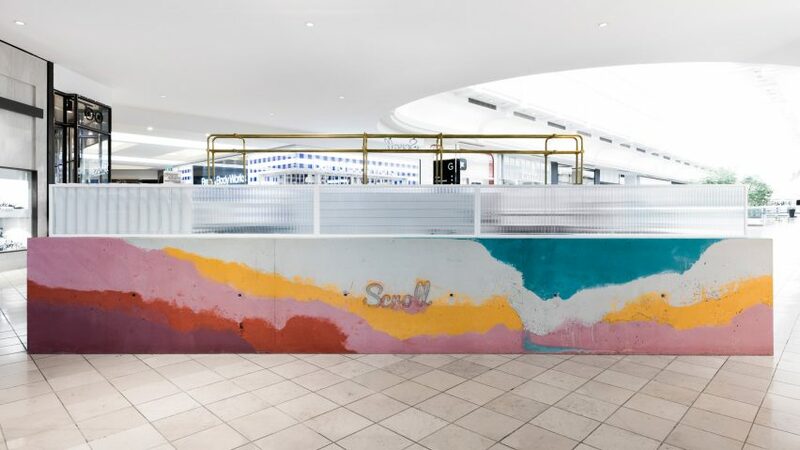 The Melbourne-based architects worked alongside artists Studio Twocan to create the bar for Scroll Ice Cream's flagship store in the Chadstone Shopping Centre. 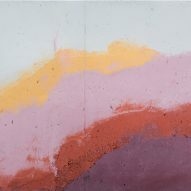 One Design Office aimed to recreate the "icy layers of flavours and fruits" through the bar's design, and utilised Studio Twocan's signature technique of layering concrete. 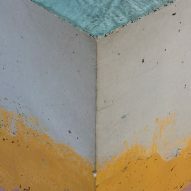 To do this, vibrant coloured concrete batches were mixed on site before being poured into a formwork mould. 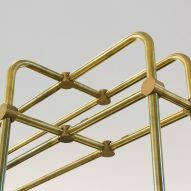 The shop's logo was then affixed to the front of the bar, with brass piping forming a framework around it. 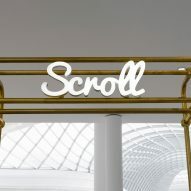 "The monolithic facade of Scroll Ice Cream's flagship store stands out in a crowd," said the two design teams. "The design looks to encapsulate both the product and manufacturing process of mixing icy layers of flavours and fruits." 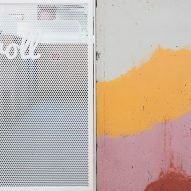 One Design Office, which previously created an aluminium tube especially for carrying large-format drawings, is the latest in a string of architecture practices to experiment with tinted concrete. 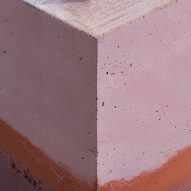 Most recently, Simon Astridge used pigmented concrete to create the pink facade of an extension to a north London house, while Architekten CM's extension to a care centre for disabled adults was been kitted out with spiralling pastel-tinged walkways. Photography is by Tom Blachford.